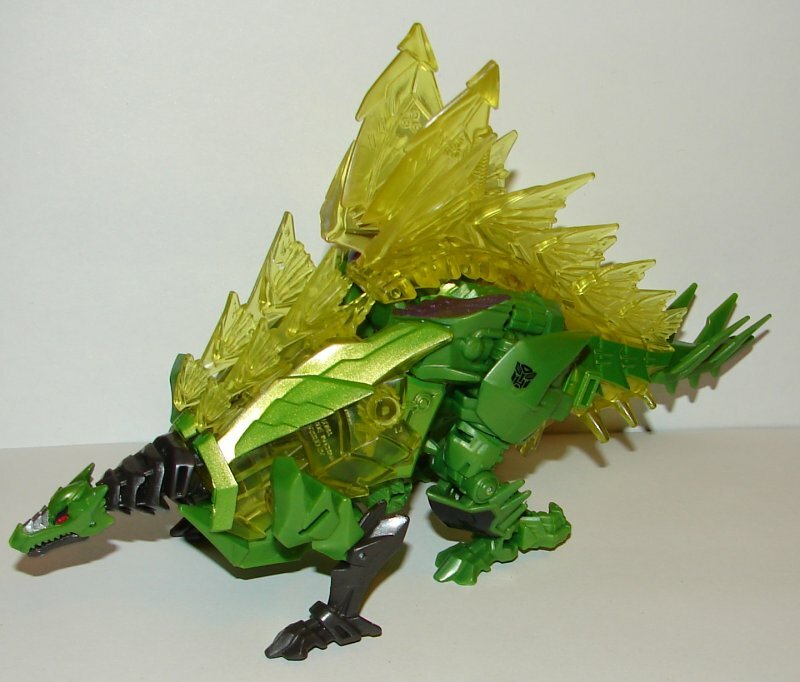 Dinosaur Mode: Snarl looks fantastic in Stegosaurus mode. The plates on his back are awesome, and even though I’m not crazy about the color choice, it does look really cool on this mold. He does have a design flaw. His weapon sits between his large spikes, connecting in a slot formed by the two sides coming together. The problem is that it doesn’t stay completely together and leaves his weapon loose. This was not a problem on the superior San Diego Comic Con 2014 G1 version of this toy. My guess is that the layer of chrome made all the connections tighter. It is unfortunate that they did not fix such a glaring flaw on this toy. Robot Mode: His robot mode looks really cool, but looks can be deceiving. The plates behind his head make moving his arms, with his tail halves on the back, difficult. The biggest problem is the idiotic design of his arms. With his arms at his side, his hands sit parallel to the ground as opposed to his fists pointing at the ground like most toys do with their arms at their side. This makes him look okay holding his weapons, but it’s not even worth putting his arms out in front of him as that will point his fists up. It’s absurd. I’m not too crazy about his head sculpt. Overall: I can’t really argue against him, even with the flaws, as Snarl has always my favorite G1 Dinobot, and the Stegosaurus was my favorite dinosaur when I was a kid. He does look awesome in dinosaur mode. 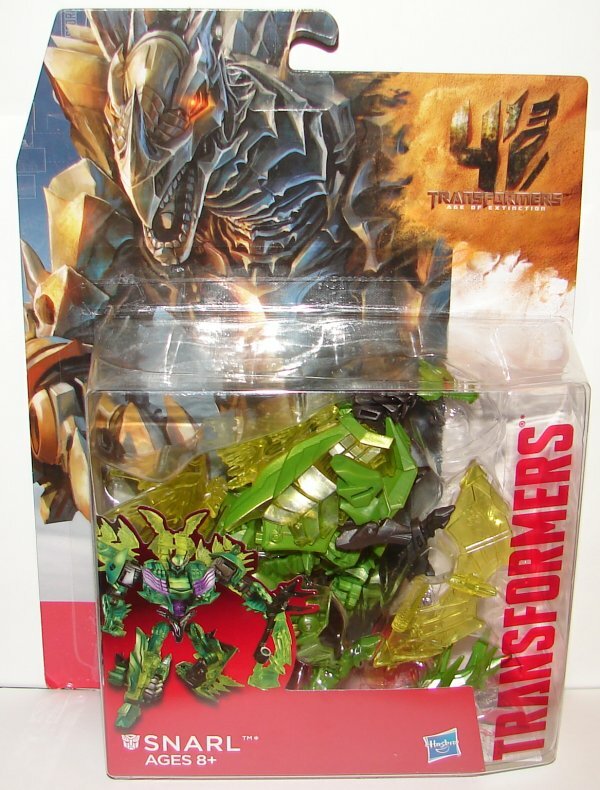 This entry was posted in Toy Reviews, Toys, Transformers and tagged Age of Extinction, AOE, Deluxe, Dinobot, Dinobot Snarl, Snarl, Toys, Transformers, Transformers: Age of Extinction. Bookmark the permalink. Oh,ok.Thanks! I really hate Snarl’s wrists.Hasbro should fold the wrists up into the cavenous forearms in dino mode .A stegosaurus with fists on its hind legs is not in disguise. I guess I’d have to go with Scorn. I’m not crazy about the soft plastic spikes on his back, but he has a great paint job and head sculpt. Snarl’s arm design really takes away from the toy. 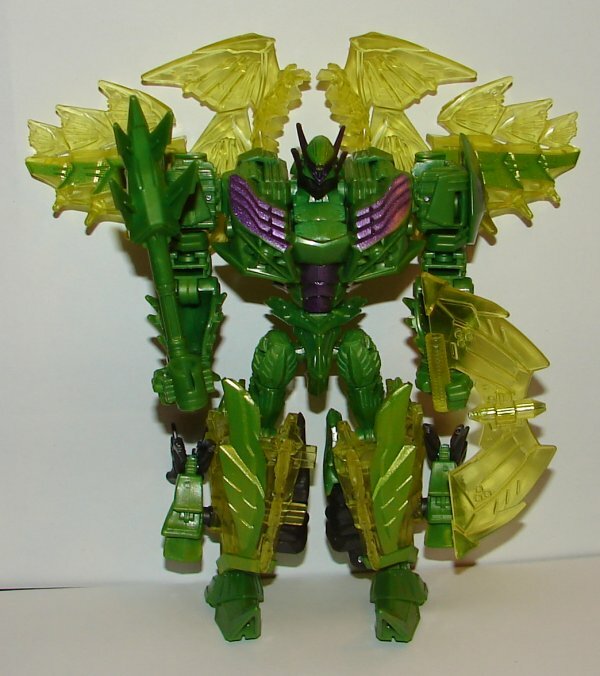 Which do you like better,Scorn or Snarl?